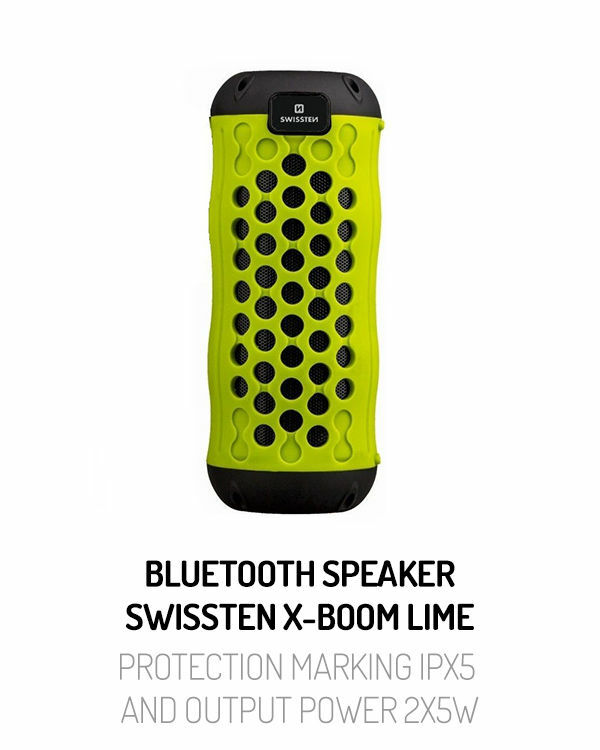 We would like to present you our new outdoor bluetooth speaker SWISSTEN X-BOOM. 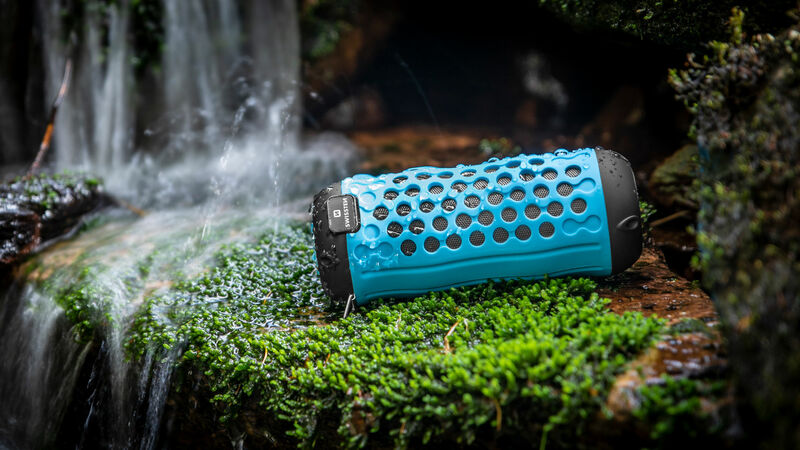 Thanks to protection marking IPX5 and output power 2x5W is this speaker perfect partner for your outdoor activities. 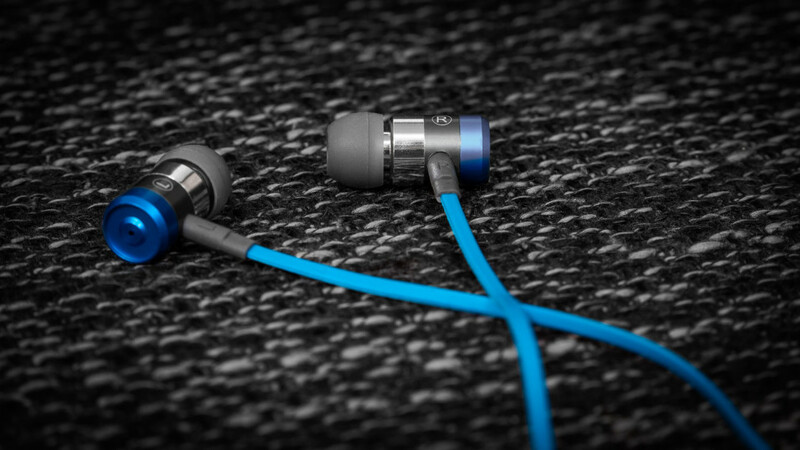 High capacity of battery ensures up to 8 hours of music playback. 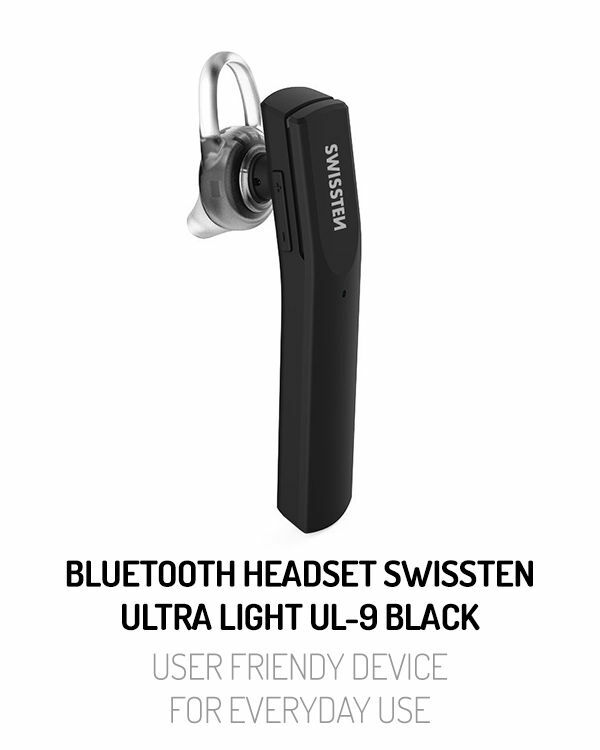 It has also micro SD card slot and AUX port. We offer X-BOOM in 6 different colors: black, red, orange, blue, lime and green. 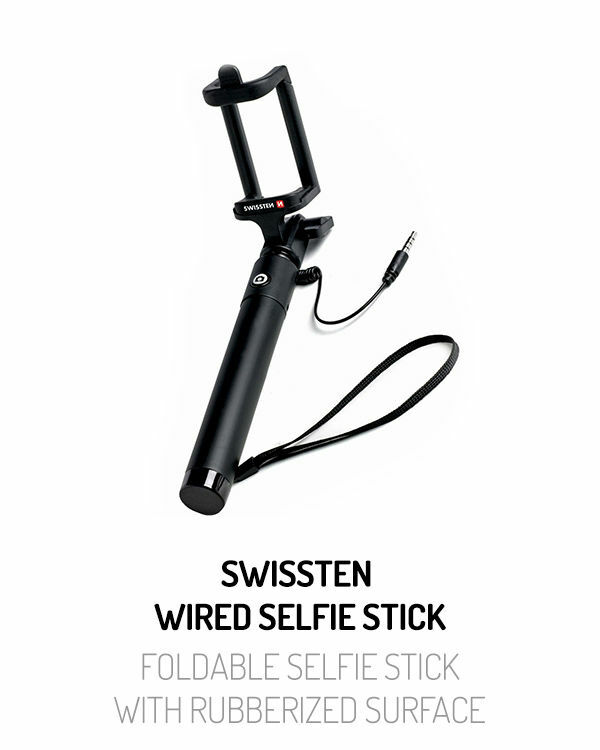 Check more product pictures here. 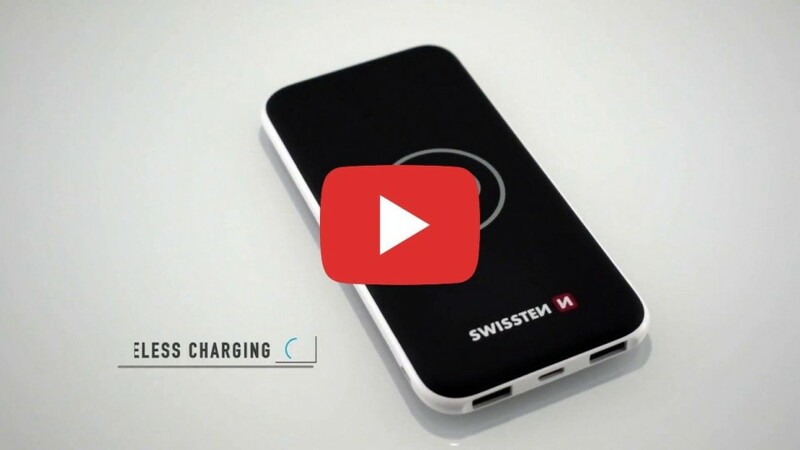 Do you have a smartphone, which supports wireless charging? 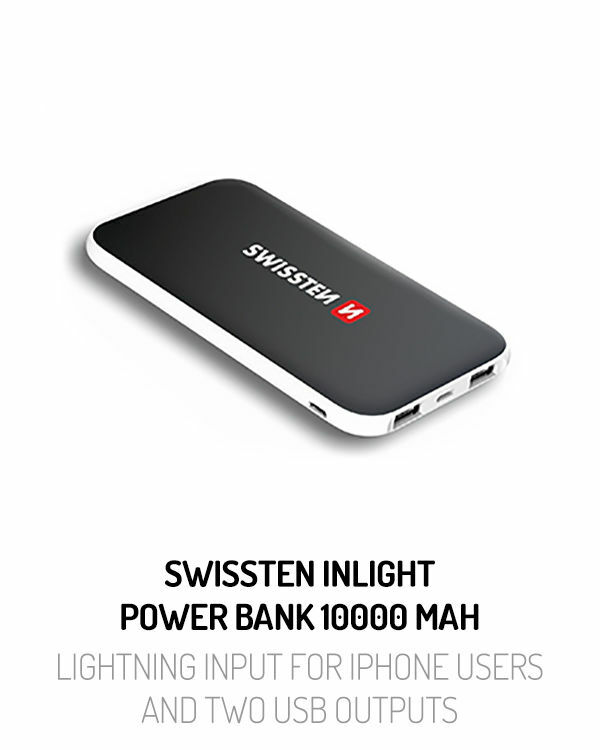 Than you can try our power bank Wireless 8.000 mAh. 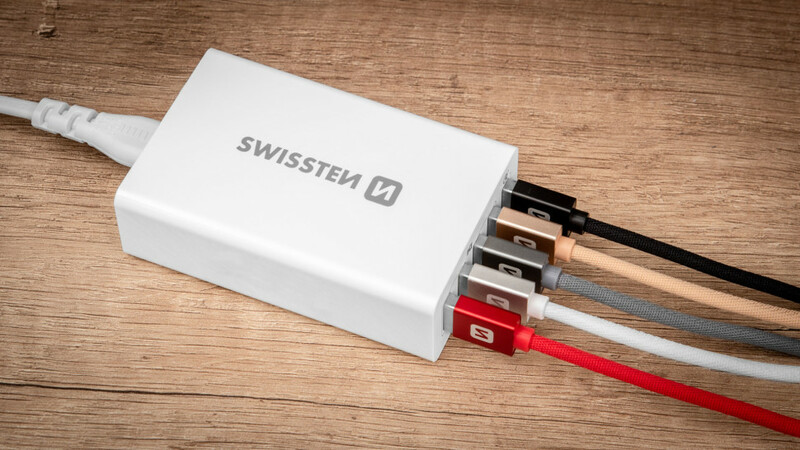 This device belong to our Swissten slim power banks family. 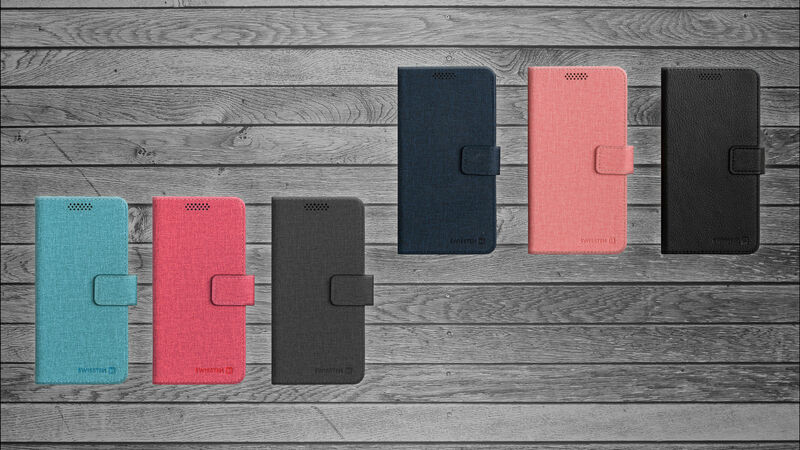 These power banks excel with their beautiful slim design and rubberized surface. 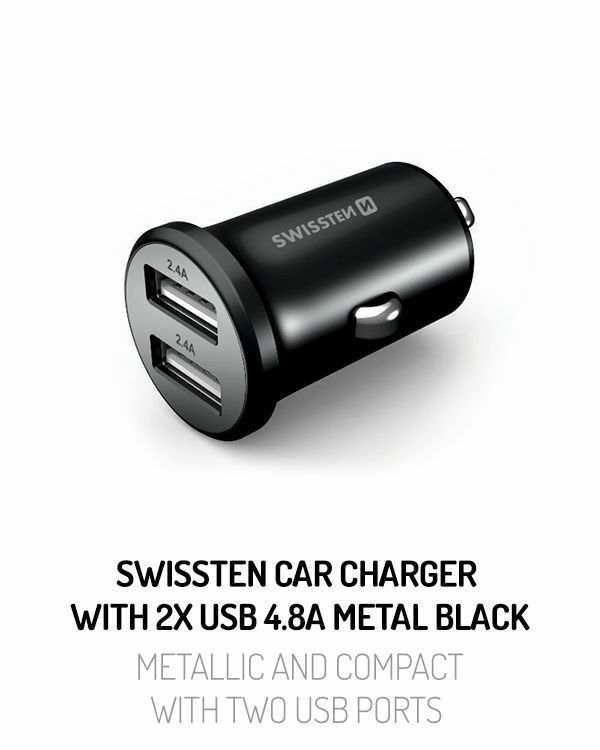 We offer 6 capacities with different types of charging inputs. In our portfolio you can find devices with lightning, USB-C and micro USB inputs. 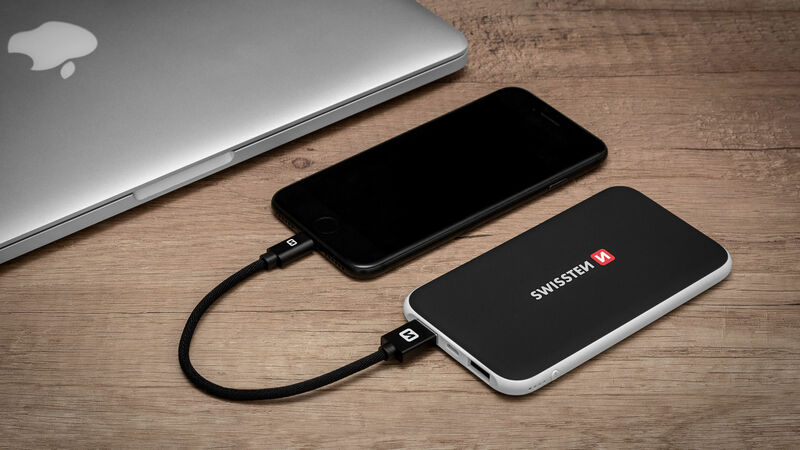 So you can choose power bank, which will be perfect for you and your smartphone. 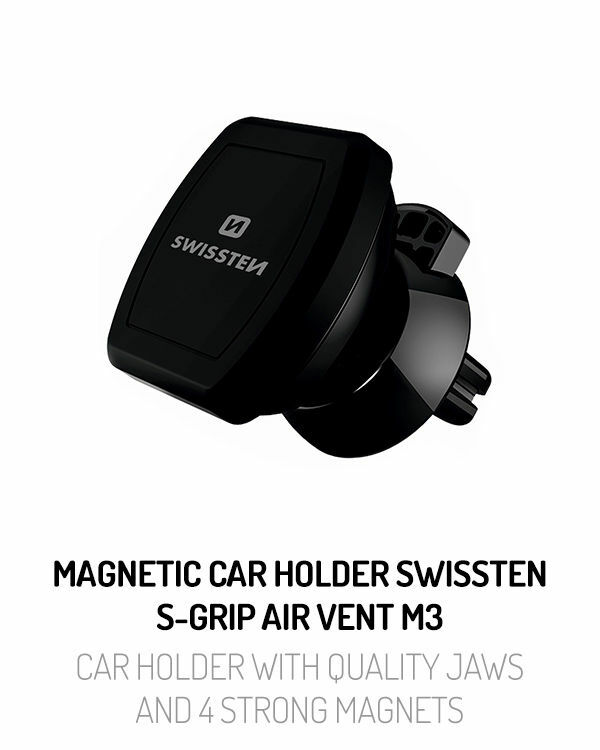 You check all items here. Our new reinforced textile cables can transfer current up to 3A and transsmision of data is up to 480 Mb/s. 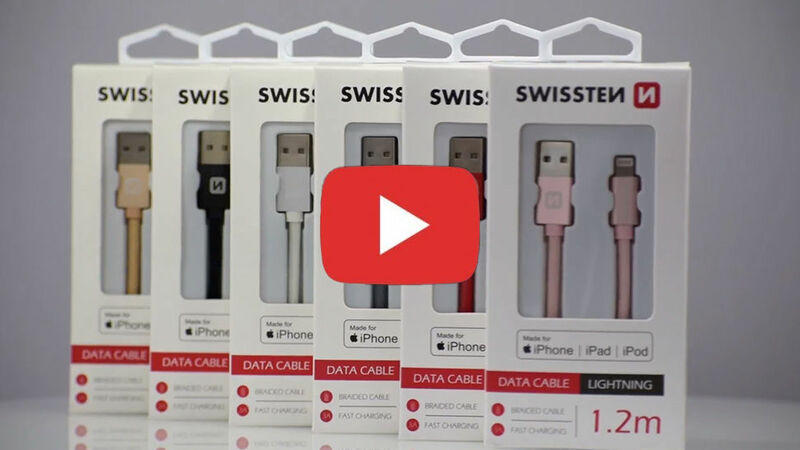 We offer 6 models (USB/Lightning MFI licence, USB/Lightning, USB/Micro USB, USB/USB-C, USB-C/Lightning (Power Delivery), USB-C/USB-C) in 3 lengths (0.2 m, 1.2 m and 2.0 m) and 6 colors (black, grey, silver, gold, rose/gold and red). 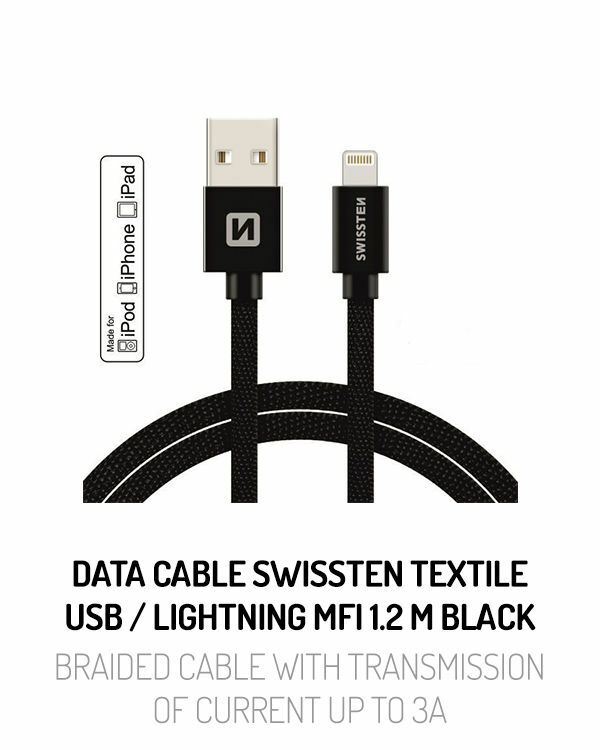 Thanks to metal covers of connectors and braided durable textile material is the service life of this our cable very long. You can check complete portfolio of textile cables here. 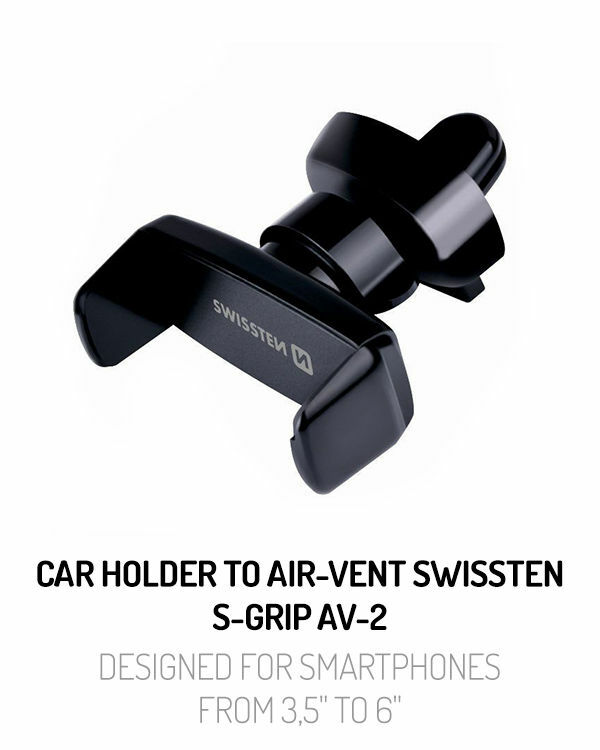 Brand of mobile phone accessories SWISSTEN found inspiration in Swiss precision and emphasis on quality. 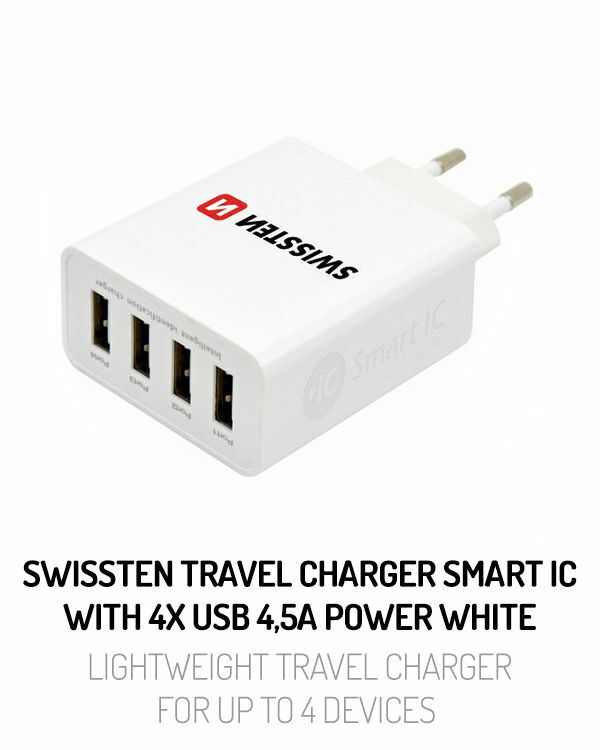 It came on the market in 2015 with model series of travel chargers and car chargers. 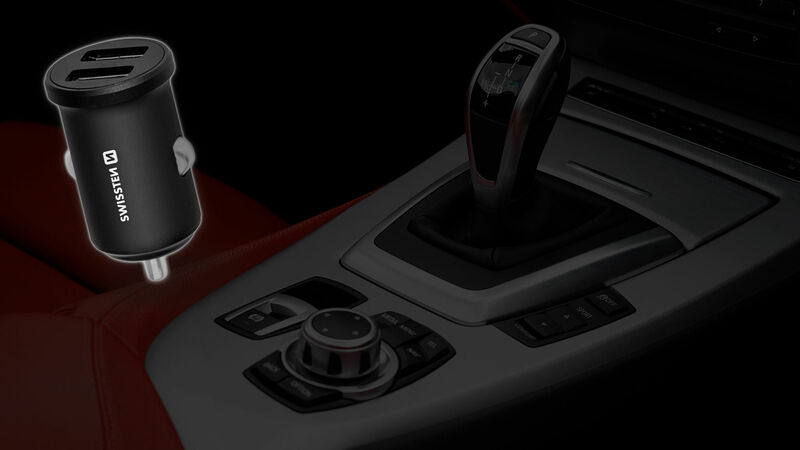 Main idea was to create the brand of mobile phone accessories with ideal ratio of price/quality/packing. 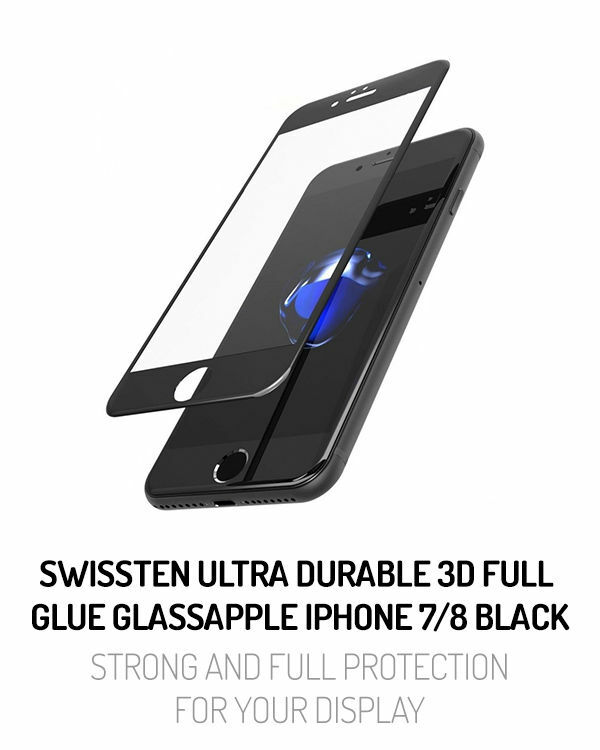 In the Swissten porfolio is now more than 100 different products and number is still growing. And it's not showing any signs of stopping.